Gold futures moved higher in Asian hours on Monday as investors eyed a series of central bank meetings later this week and hold tight for a possible rate hike from the Federal Reserve. On the Comex division of the New York Mercantile Exchange, gold for April delivery was up 0.52 percent to trade at $1207.70 a troy ounce as of 06:20 GMT. On the data front, Japan’s core machinery orders for January dropped 8.2 percent y/y, against a forecasted 3.3 percent decrease. On monthly basis, orders fell 3.2 percent vs a 0.5 percent build seen by analysts. In the week ahead, investors will be paying close attention to three key economic events: the FOMC statement on Wednesday and the BOJ and BOE rate decisions on Thursday. Also, world leaders will be gathering for a fresh two-day G20 on Friday, with market participants following each and every step of the encounter in search for further trend signals in the political context. The yellow metal ended in red territory last week, after the Bureau of Labor Statistics published an upbeat employment report which built a stronger case for a rate increase this month. According to the latest nonfarm payrolls data, US private sector added 235,000 jobs in February, marking its largest increase in nearly a decade. Figures were well above expectations for a modest 190,000 build. The unemployment rate ticked down to 4.7 percent. Fed funds tracked by CME Group’s FedWatch tool currently show that market players are pricing in close more than a 93 percent chance of a rate move in March. If confirmed, investors will weigh a three to four rate hike year instead of two, as they did at the beginning of 2017. Crude oil prices dropped in early hours on Monday, moving to their lowest level in last three months as US producers continued to add more rigs. US West Texas Intermediate oil futures traded at $48.08 a barrel on the New York Mercantile Exchange, down 0.85 percent from its prior close. The international Brent crude oil futures fell 0.68 percent to trade at $51.02 a barrel as of 06:40 GMT. Oil service provider Baker Hughes report on Friday that the number of rigs operating in the United States grew for an eighth consecutive week, fueling concerns that US shale producers could derail OPEC-led efforts to rebalance oil supply levels. In the last few months, oil benchmarks have recovered notably thanks to production cuts agreed between members of the Organization of the Petroleum Exporting Countries and non-OPEC countries led by Russia. All together, producers intend to shred almost 1.8 million barrels per day from global oil supply, which accounts for about 2 percent of it. The deal is due to expire in June, but there is increasing speculation over a possible extension. However, the risk of oversupply is far from ended. Only last week, the US crude reserves rose by 8.2 million barrels, leaving well behind market estimations. Right now, commodity prices are pending on the next FOMC meeting. 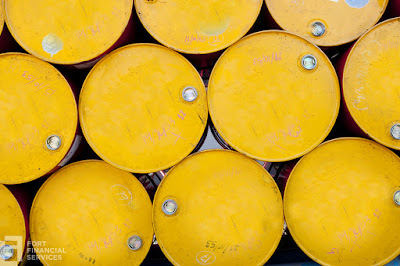 A rate hike this week could add significant pressure on oil quotes as the dollar is expected to rally.